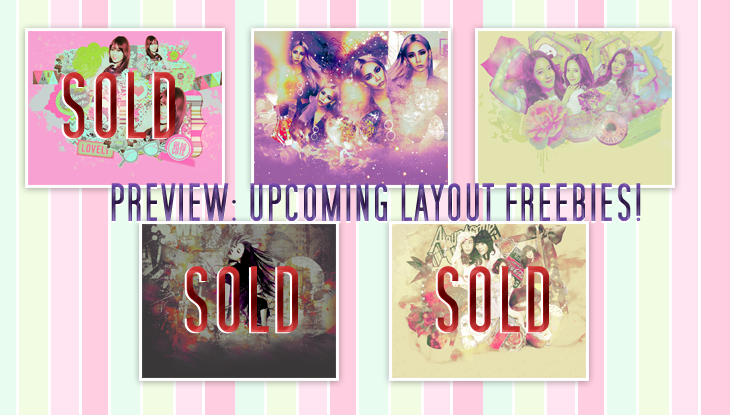 [PREMADE] GRAB NOW BEFORE IT'S TOO LATE! Promotion ends on Thursday 22nd October, 2015! WHICH LAYOUT: Pink one on top left - Grey-background on bottom left - Sand-background on bottom right. Total for order should be $1.50, right? I wanted to see me use it too, but sadly that won't be possible: the registrar (an european one) f**ked up the registration royally and the domain doesn't work; to be more precise, the domain only works on the registrar's hosting nameservers. I've waited almost 2 weeks for the registrar to admit they screwed up, but they insist the host's nameservers were broken and that the domain is working fine - it's not, it has never worked. I know the NS work perfectly, I host other 2 domains on them, but the registrar denies their mistakes even when I show visual proof of it and won't give me a refund. That teaches me to never try new registrars just because they're having a big promo; from now on, .nu registration = Namecheap. Nuff more said. Thank you to you for making them and selling them at such a convenient price; I'm thinking....scratch that, I'm buying the last two if you're still selling. Sending the $1 as soon as you confirm that the two designs are still for sale.